Looking to have a T-shirt printed for a corporation, event, or fun personal item? Not to worry. The process is straightforward and similar from company to company. These steps will help guide your process. Before jumping into designing, it is helpful to research both local and national clothing printing companies. Some corporations may be tailored toward mass orders, while others are better at assisting individuals looking to create a unique piece for everyday wear. Neither is printing limited to shirts: Several companies can print on tote bags, backpacks, and even household articles such as coffee mugs. Additionally, use this opportunity to look up any examples of finished products that a company offers. If you’ve never designed a T-shirt before, this will help to determine what styles are available and how you want your completed shirt to look. Decide ahead of time what image will be featured on the T-shirt. A good option is to keep a saved file of a few possible designs for easy access. If unable to decide between the options, don’t worry: The T-shirt company may be able to help narrow down the decisions based on its printing capabilities. Decide which garment style best suits your purposes. Many companies offer a variety of styles, including short and long sleeve, jumpers, or singlets. Varying types of material, such as cotton or jersey style, may also be available. Choose from a variety of colours and shades to give the shirt a unique background. If parts of the shirt other than the printed design are meant to be two-toned, this is the time to customise. 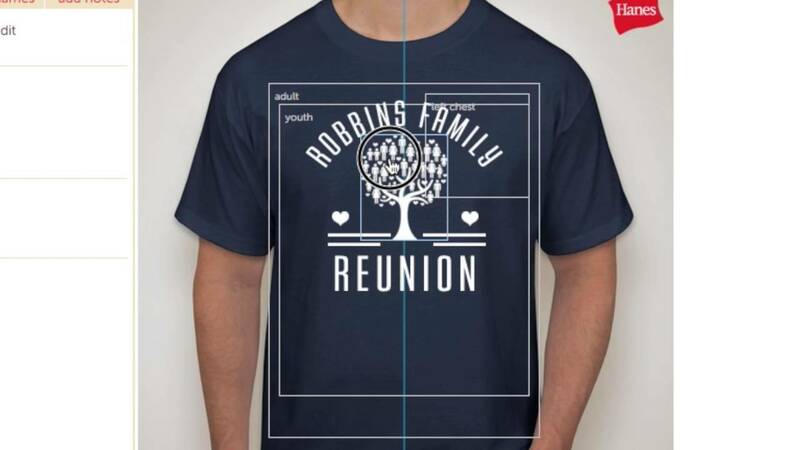 At this stage, you will be able to upload an image to the T-shirt printing website or use its program to choose the font and size of your desired slogan. The technology should allow you to move the image to different locations on the shirt or expand or shrink the image. You may also be able to save different shirt templates for later consideration. After your shirt is finished to your satisfaction, the company will be able to provide you with a price for production. This is primarily based on the quantity of the order, the shirt material, the number of colours necessary to dye the shirt, and the size of the design. If ordering for a company, organisation, or event, discounts are often available after exceeding a specific number of orders. This is another excellent time to utilise customer service in answering situation-specific questions. If using a company that specialised in unique designs, the program will often give an immediate price based on the same criteria. Once your quote is provided, the company will offer different payment plans. These will commonly include shipping charges and will calculate a date by which you can expect to receive your order. Once you have selected an order, you can look forward to receiving your new custom printed T-shirt. Selecting lawn bowl shoes is a sensitive issue, meaning you need to consider many factors while in the process. Over 35 different models of the bowls are available with a different bias. They are available in four weights, which are: medium, medium heavy, heavy and extra heavy in an array of colors and more than six types of grips. In this article, we will answer different questions, which can help in making informed choices about the best set of lawn bowl shoes that will suit you. Factors to consider when selecting lawn bowl shoes that last a long time. Size is the most crucial aspect to consider when picking the bowls. To determine the size that will fit, you need to wrap your hands around the broadest surface of the shoe such that your thumbs touch at the bottom to form a circle around the shoe. The right size is the one that you can leave a little gap at the top of the shoe. You can also hold the bowl in front of your stretched arm for about 30 seconds. If you maintain a comfortable grip, then the shoes are of the right size for you. However, if you feel some pain or you start shaking, then the shoe may be oversized for you. The bowls have a number and letter on the sides which indicate its weight. For instance, a 3M bowl is a size three bowl of medium weight, and a 2H bowl is a size two bowl of heavyweight. The weight of a bowl determines what will happen during a bowls match. A more massive bowl will knock out a medium bowl, and this is the main reason why more massive bowls are a recommendation. Lawn bowl shoes were initially brown because they were made from hard lignum wood. Later, black composition bowls were introduced. Nowadays, you will get the lawn bowl shoes in a wide variety of colors and patterns, hence capable of choosing the best one for you. Various types of grip exist depending on the manufacturer and model of the shoes. We have deep dimple grip, crescent grooves, vertical grooves, and the shallow dimple. Grips allow for better controls or a more secure grip in cold and wet conditions. Grips are vital if you like bowling outdoors. You need to try different types of grips before making a decision. If you are a member of a bowls club, you need to ask your fellow members to have a roll-up with their bowls for a better idea of comfort and suitability to your bowling style. Choosing the bias depends on whether you bowl outdoors or indoors. The position you play in pairs or rinks also determines the type of bias. Narrow bias bowls are an excellent choice for indoor bowlers while wider bias bowls will meet the needs of an outdoor bowler. It is advisable for beginners of the game to start with narrower to medium bias as they may be required to play at position one or two where you need to place your bowl closest to the jack. Beginners have to buy a second-hand set of lawn bowl shoes which cost less than new sets unless they are sure of what they want to buy. Purchases can be made via bowls retailers and club noticeboard. The brand of the lawn bowl shoes is a less critical factor in making choices. This is because all are of good quality. When it’s time to pick out the right soccer uniform, going with a custom-picked uniform may be the best direction to go. One option is to compare materials that the uniforms will be made from. One way to go is to choose one hundred percent Australian materials, in order to be more assured of the quality of the materials being used. With all materials coming from Australia, it is easy to have total control over all of the uniform-making process. The process includes choosing the right design, printing, cutting, and assembly, to name a few items, that are all part of making the best custom uniforms. Some of the specifics need to be ironed out before deciding on the final product. Sizes and colours are an important choice. What kind of design is being considered? Will there be a custom logo to add to the uniform? Is the uniform going to include both shirt and bottoms, or will the shirt be the only part of the uniform that is custom sportswear in Australia? 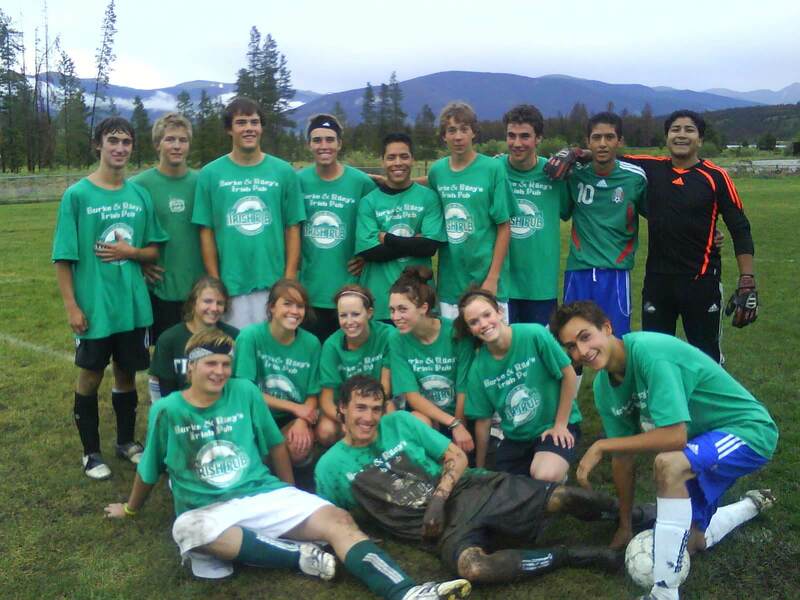 There are numerous companies that supply custom soccer uniforms. The way to choose the one that is best for the individual team is to see what their prices are. What types of deals may be included as part of the price? In some cases, the purchaser can go online to get a quote or have free sample fabrics sent to help make the right uniform choice. Many companies offer unlimited colour and logo options. Others have no minimum order, which is a great plus when getting uniforms for a small team. Some companies also provide not only the uniforms themselves but supply team wear for sponsors and team supporters. These extra options, hoodies, hats, carryalls, water bottles, and so much more, that are great for not just team support on the stands, but for fundraisers as well. Australians do love their soccer! Lots of kids (and adults!) love to play soccer, and many have the dream of one day playing in the World cup. With such enthusiastic players, fabrics need to be durable for players. It’s no secret that uniforms get a lot of wear and tear. The better materials used in constructing the uniforms, the longer the uniforms will stay in optimum shape. These uniforms are in for a lot of punishment, so the quality can matter just as much as the price. With higher-grade materials and workmanship, the uniforms are able to last longer, and therefore not need to be replaced over and over. Finding the uniforms that are able to meet all the specifics and expectations from the buyer is no small task, but when looking for just the right uniforms, Australian companies have a lot to offer. With all the options available, it’s a sure bet that the uniform that is eventually decided on will meet every demand. Game on! Of course, we all love good deals, every single one of us loves to get the finest offers anytime we are doing all sorts of transactions. It is very important that we know how to get the best deals and this section will focus primarily on that. 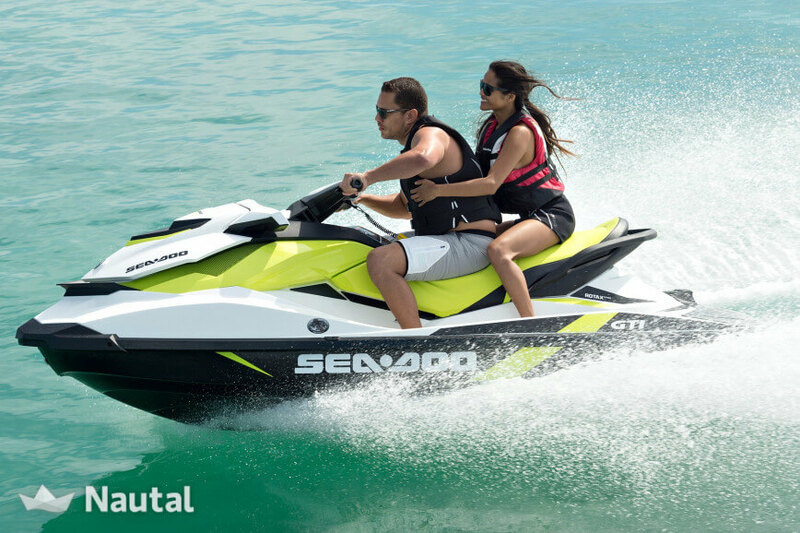 There are several ways by which you can nail down the most mouth-watering offers and deals of jet ski sales. One of the best is for you to track the websites and other online platforms of the companies offering these jet ski sales. This includes following their social media pages so you will be the first to know and claim these lovely sales offers once they are posted. Another thing that you can do is to simply pick up the phone and call the representatives of the jet ski sales companies and ask for their best deals. You will be surprised with how willing they are to assist you. Apart from getting a good time and pleasure for everyone, the jet ski sector is also a very lucrative aspect of the tourism industry. Many people think that you have to have millions before you can start your own jet ski sales business. However, that is not entirely true as you can easily pool funds with friends and other like-minded investors and launch your own jet ski sales business. You really do not need to start it all by your own. Simply find entrepreneurs that think like you and get it rolling. There are several parts of the country where jet ski sales business can be done but in reality, just a few, if any, can match Gold Coast in terms of the excitement and the sheer profitability of the business itself. This is due to a number of several factors. Some of these include the geographical location, availability of spare parts of the jet skis, the presence of jet ski experts and very crucially, the very hospitable nature of the people of Gold Coast. It is a combination of these factors that push locals and tourists alike to this area and get things done. From the look of things at the moment, there is only an upward trend for the future of the jet ski sales in Gold Coast. All indices and parameters project an upward slide for this very important sector of the tourism industry. There are several reasons as to why you should also be interested in being involved in this sector. Becoming a successful jet ski sales business person is just one of those fabulous gains that await you. Darts was once very popular in pubs around the world, but it has since evolved, and it is now one of the most watched games in different places around the world including Australia. The world championship is broadcasted on televisions and has attracted thousands of viewers who enjoy the game. Currently, one can search for different clubs online where players, old and young can begin playing darts. You know Darts Australia is here to stay, and the darting community is there to continually boost the public profile of the sport to reach more people. Darts in Australia are very popular as such different coaching programs for the game of darts in Australia exist that are set up to train prospective dart coaches. There are also dart coaching manuals that one can download online. 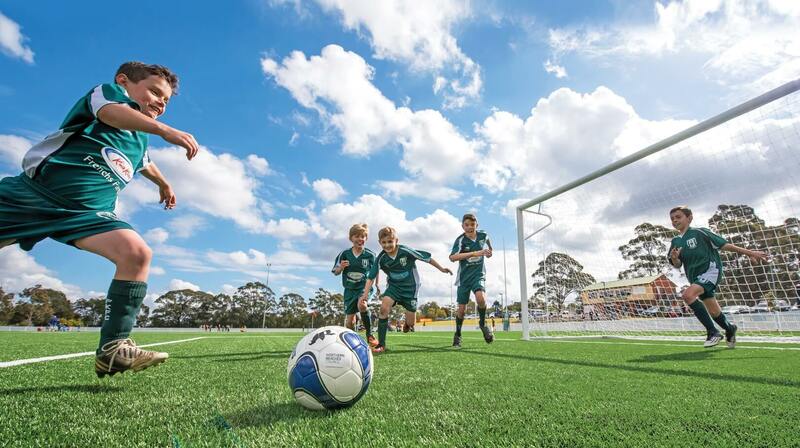 Some parts of Australia have successfully been able to introduce the sport as part of the school program. Children in these parts of Australia now know how to play darts as well as proper hand-eye coordination. It has also been said that as part of the school program, children will have fewer problems struggling with maths. There are many pieces of equipment you can purchase online as well as locally in Australia that will make playing darts worthwhile. Several stores stock darts, dartboards, cases, and accessories like dart mats and grip enhancers. Australian players can choose between steel tip darts and soft tip darts. It is worth mentioning that the soft-tip darts are commonly used with electronic dartboards and are very popular in the school program. Some stores that sell darts in Australia also stock a variety of dartboards such as the favourite brittle dartboard. 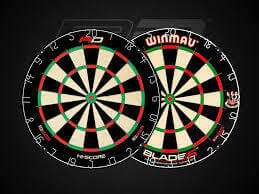 There are also other types of boards that can be bought online including compressed paper dartboard, professional trainer dartboard, and sets (containing a dartboard, cabinet and a set of darts). For fans of the sport and those who want to show support for their player, there are also shirts that can be purchased in these stores that are both lightweight and comfortable. Although, there are many versions of darts played worldwide, the most common version which is also performed in Australia has similar rules in different parts of the world. A player or players have to reach zero from a starting number, usually 501. There are also other versions of the game including 301 and round of the world. At the start of the game, three darts are thrown by each player, and there is a means of selecting which player starts first. It could either be the toss of a coin or the first player to hit the bullseye (or near the bullseye). For a player to be declared the winner of a game, the last dart thrown must be a double. The rule of winning in 501 is the same in 301. When playing darts in Australia, any dart that bounces off the dartboard is not counted or scored. Darts that are thrown out of order are also not scored. In the event of a tie between teams, the winner is usually decided by the maximum number of game points. Non-adherence to the set rules of darts in Australia could result in disqualification. You spend a great deal of your life at work and as a result, if you want to enjoy working, you need to create a positive culture in your workplace. Remember, it is not only up to the boss to create a positive work environment, but also all of the employees. After all, the company culture is created based on the attitude of all the workers which makes it imperative that you have a positive attitude while at work. You should also seek to be kind, patient and respectful since it will make it more likely that others will behave the same way towards you. We will now take a closer look at a few ways in which you can create a more positive culture wherever you work. The first tip from HR specialists Cornerstone Consulting, is that you should always pay attention to the way you talk to others. This is especially important if you’re a manager, supervisor or other person in authority. You should never insult anyone or be mean. Instead, you should use positive reinforcement. This means that you can say things such as “I appreciate what you did..”, “I’m quite impressed with how you..”, “I admire you”, “You’re very good at..” etc. These sort of phrases and sentences make people feel good about themselves, which means that they will do their best to continue working at their best. Next, you should always strive to show gratitude and thanks. This is especially important to tell them to their face, if possible and not just in an email. If someone did something for you, you should thank them, even if its in their job description. If you’re not their boss, then you should make sure to praise them in front of their boss or at least let their boss know that they did a great job. Thirdly, no matter where you are in your career or what you do, it is important to be kind and motivate others. There are many ways that you can do this such as posting a motivational poster at your desk or even just talking to someone who may be having a hard time. We could all use a little motivation from time to time and if you do so, it will certainly spread. The workplace can be quite a stressful place and sometimes, co-workers can get snarky and respond in unprofessional ways. As a result, it is important for you to not always react negatively but rethink how you respond. Sometimes, the best way to respond to hate is with love and understanding. Also, if you find yourself typically reacting in a negative or defensive way, you should stop to think before you speak. This can go a long way in improving the culture and mood of the workplace for the better. In conclusion, we have just looked at a few tips that will help you to create a more positive culture at work. Once you put these tips into action, it may take awhile before they start to work, but once they do, I’m sure you and your co-workers will be much happier. There are many people who consider starting an air compressor hire business. If you are one of them, you need to know how to do this correctly. There are a number of steps and tips that you should know about which will help you start your business correctly. One of the first points that you need to consider when looking at starting an air compressor hire business is the legal requirements. The exact requirements will vary depending on where your business is going to be located. It is recommended that you contact your local authority to find out the exact requirements or get in touch with an attorney. There are some general requirements that all hire businesses need to adhere to. The first is to set up a company and it is recommended that you look at a private limited company. To set up this company, you will need to have a business name which is registered with the company registrar as well as the documents showing the structure of the business. Many people do not realize that their hire business needs to have certain insurance coverage to operate correctly. The insurance you get will need to cover your air compressors and offer public liability insurance. The coverage that is offered will vary depending on the policy that you take so you need to be careful. If you are unsure about the insurance that you need, it is recommended that you contact an insurance specialist. A business lawyer should also be able to help you determine the basic insurance that you need. However, they will not be able to help you acquire the insurance that you need. There are 2 different types of renting that you can offer your customers and you need to choose which one you are going to work with. It is possible to offer both, but you will need to be prepared for the legal requirements of each. The renting options that you need to consider are contract hire or hire purchase. Contract hire is the most commonly used by air compressor businesses. This type of renting allows the customer to hire the air compressor for a specific period of time. You will be allowing the customer to use the equipment for this period of time for a set fee. Hire purchase is different as the item will eventually belong to the customer. With hire purchase contracts, the customer will pay a set amount each month for the air compressor. At the end of the contract period, they will own the air compressor. Most people who look at starting an air compressor hire business will look at contract leasing. This ensures that they continue to have air compressors in their inventory and will lower their costs. With hire purchase, you will need to buy the air compressors and then sell them on which may not be financially viable for everyone.